A lot has changed since IB first became a surfing scene, but today surfers still share the stoke. Being stoked should be a prerequisite for being a surfer, but that's not always the case. Sometimes, like gruff sea lions, grumpy guys invade the lineup, bark at everyone, splash water around and try to ruin our fun time in the ocean. Thankfully, most surfers in Imperial Beach are immune to the grumpsters. There is a long history in our tiny surf village of sharing the stoke that started when Dempsey Holder invited his surfing colleagues from around Southern California to share waves with him at the Sloughs. Back in those days, sharing waves was a virtue. Today it's considered a crime. 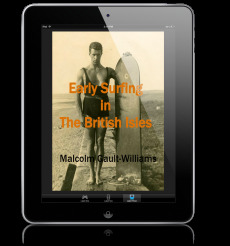 I started surfing at the age of 13 in 1977, and back then no one had any money. All we had was stoke. My Hemlock Avenue neighbor Harry Hildebrand introduced me to Radical Roy who hooked up with a 6’11'' no-name winger-rounded pin single fin for thirteen dollars. Harry sold me a beavertail wetsuit for four dollars. Seventeen dollars was a lot of money back then. After I bought my board, I would ride my bike down to the beach and spend the day on the shore off Elm Avenue. There I met Donny Dominguez who seemed to know more about surfing than I did and was the proud owner of an electric purple Richard Jolie pintail. Everyday at the beach was an adventure. When school started I stared surfing with Donny, Jim Dodds, Marty Stone, Bobby Maupin, Chris Patterson, Tim Hannan, Greg Parman, Larry Crauswell, Tim Sweeney, John Arnold and Dan Mehlos. Greg, who was in the ninth grade, was a real surfer. He had an effortless style, could pull off laybacks at the snap of a finger and was one of San Diego County’s best groms. He had a Christmas color winger swallow single-fin. Greg was cool. We were all trying to be cool, but the minute we hit the water none of that mattered. All we wanted to do was surf. Every day. All day. Later in high school I met surfers like Tim Decker, Barry Palmatier, Lindy Dalmas, Bill Johnson, Mark Ganderton and Randy Garvin, who all ripped and seemed to know everything about surfing. They manned the surfer bench that freshman were not allowed to sit at. If we were lucky, they found a place in their surfmobiles for us on trips to Baja and the Cliffs. It seemed like sometimes half of the IB surfer population could be found at Baja Malibu or the K-38’s parking lot. Back then there was no surf forecast. No one had a clue when waves were coming. We just showed up at the beach everyday and hoped for the best. Of course my first years of surfing were epic El Nino surf years. 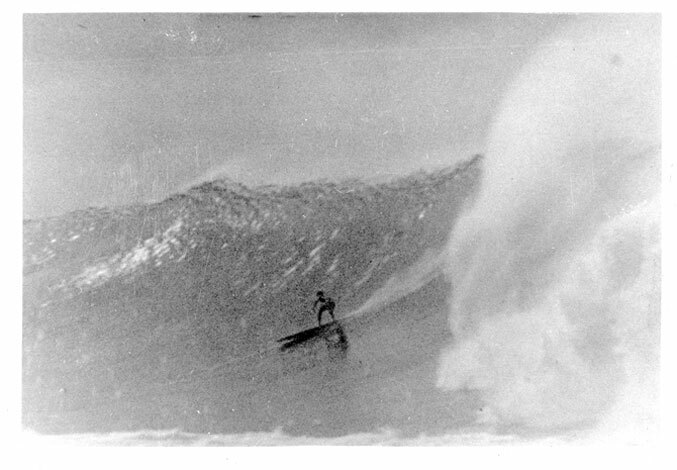 In 77-78 the surf pumped non-stop. So did 79-80 when giant surf took a chunk of the Imperial Beach Pier. The Sloughs broke way outside. On my first outing there with the grom squad we got pushed south of the rivermouth, but somehow scratched back to the outside. Out in the IB lineup I met the guys who defined IB surfing—Mark and Glen Gould, Kelly Kraus, Dave Parra, Radical Roy, Randy Coutts, Aaron Chang, Mark Stone, Jim Sullivan, the Carroll brothers, Jim and Bobby Barber, Richard Abrams, Pat McClosky, Coco, Bobby Spitzer, the Smith brothers and Richard Cacnindin, among others. Dempsey Holder was always around the beach. Dave Craig, Mike Richardson and Jay Novak were the shapers of choice for IB surfers back when IB surfers only rode boards shaped by local shapers. Aaron Chang was just starting his career as a surf photographer. I remember his first slideshow at the IB library where his mom was a librarian. Occasionally a surf movie--Going Surfing, Five Summer Stories—would play at the Palm Theater, and the entire South Bay Surfing scene would turn out. Jim Knox was our first high school surf coach who took us to Baja on surf trips. His brother Jeff had just finished grad school at UCLA and moved back to IB. I met Jeff and his wife Mercedes on my second surf to Baja back in 1979 with my dad and Jim Dodds. Today everything has changed. But the most important things have not. We are still lucky that we get to surf and share the stoke with lifelong friends and all the groms who are just like we were: perpetually stoked. Serge Dedina is the Executive Director of WiLDCOAST. He is the author of Wild Sea: Eco-Wars and Surf Stories from the Coast of the Californias. You can read about the beginning surf days of Imperial Beach at: RIDERS OF THE TIJUANA SLOUGHS.